What Is a Vulnerability Assessment and Why Would You Need One? In 2014, 4,821 people were fatally injured in work-related incidents. There are four categories of workplace violence which are personal relationship, customer, criminal intent, and work-on-worker. After the incident companies often find there were preventative measures that could have been in place. More companies see the importance of having a vulnerability assessment completed for their company. Others aren’t sure what a vulnerability analysis is or why they need one. Continue reading this article to learn more about these assessments and why your company needs one. What Is a Vulnerability Assessment & What Should I Expect? You want to prevent violence in your workplace. You want to make sure that your employees feel safe when they come to work. When you assess any vulnerabilities to workplace safety, you are increasing safety for you, your company and your employees. Vulnerability assessments for your workplace mean different things depending on what your security focus is. You may need security checked for your cyber systems, or you might be worried about physical threats specifically. Depending on the depth of your assessment, the process can take as little as one week. More detailed assessments might take up to six weeks to complete. Before you know how long it will take for your business, you need to decide what you need to check. While this is our basic package, as you can see, we go to great detail to make sure that your building is safe. If there are any flaws in the security system, or if you need to add more guards, reposition those guards, or look out for specific threats in your area, we let you know. We help you design an environment where your employees feel safe when they come to work. Parking facilities are one area people feel worried about using when they have to leave work after hours. We put systems in place so parking facilities will be safe anytime they are used. If you feel your company needs additional assessments, we have a package called the Silver package. This package includes all the features of the bronze package but we add the following points, and the process will take two to four weeks. The best way to keep violence from happening at the workplace is to approach it head-on. Knowing that violence is a possibility and understanding what causes it can keep your company from experiencing it. Knowing what should happen if a workplace emergency does take place will allow everyone to remain as safe as possible if something does happen. Testing life safety equipment and ensuring it is kept up properly is an important part of workplace safety. Life safety equipment is any equipment that is in the building to keep you safe in case of an emergency. Depending on where you are, this equipment might include fire suppression equipment, equipment to keep you safe in case of an earthquake and more. With plans like our Gold plan, you get the assessments included in the above plans with the following additions. This can take up to six weeks. Having a full assessment completed allows for the most safety and peace of mind for you and your employees. Cybersecurity is an area where people continue to be worried about their identity and information getting stolen. Making sure your systems are protecting information is important not only so you aren’t breached, but so you aren’t sued. Companies large and small face vulnerability challenges, whether that be something minor or major. Whether you are dealing with an active shooter, an earthquake, fire or another workplace safety problem, you want to make sure you are properly prepared. Ask your insurance provider what discounts you may get when you have a vulnerability assessment completed. If you implement the recommendations from the security assessments, many insurance companies see you as less of a risk. Often they are willing to lower your insurance premiums. Keep in mind that workplace risks not only affects your insurance premiums. Ensuring workplace security helps employees stay on task. When workplace incidents happen, employees may need time off work or not be able to produce as good of results as they normally would. A safe workplace is a productive workplace and having a vulnerability assessment is the beginning of creating a safe workplace. You will be able to work with the assessment team to implement best practices within your company, so you never have to second guess your decisions. A company’s reputation is a major part of its brand. When you are known to take care of your employees, that elevates your brand. Failing to do so can cause you to experience negative press and other unwanted attention. When you have a proper vulnerability assessment done, you are protecting your company and your employees. Instead of hoping there won’t be workplace violence, you can reduce the possibility of it altogether. 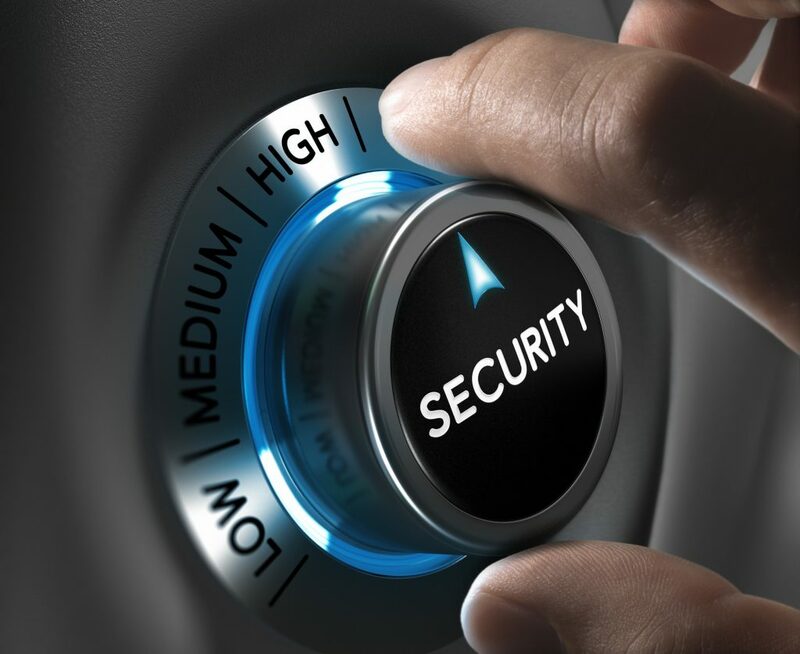 The benefits of assessing your vulnerabilities and implementing a proper plan are numerous. As you can see by the information above, your time and money are well spent on company safety. Are you ready to protect your employees and reduce the possibility of workplace incidents? Contact us today and let us answer any questions you have about our services. This entry was posted in Blog and tagged vulnerability assessment, vulnerability test.